On a Saturday night, I felt right at home amid a display of jovial energy at Art’s Place. The presence of inexhaustible dance-lovers sustains the warm—nay, red-hot—atmosphere as the dance partners deftly executing the steps of voluptuous cumbia moves. 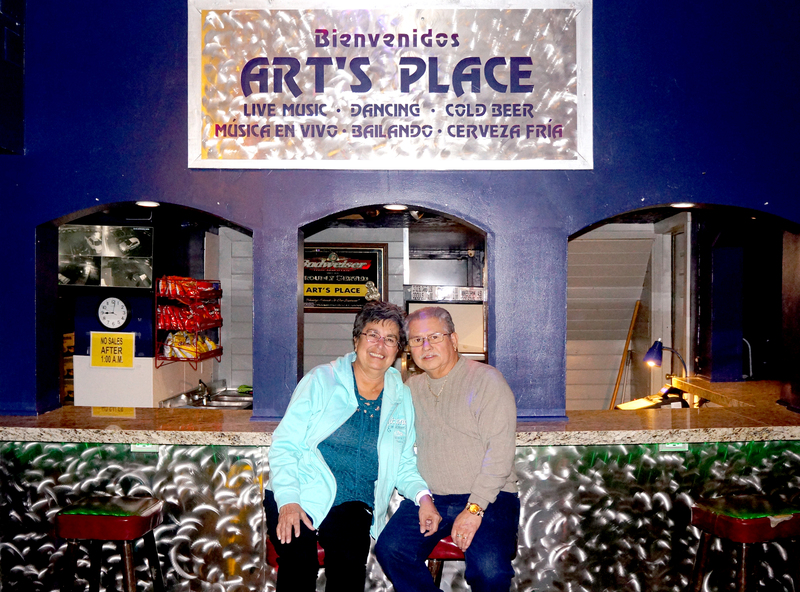 Art and his wife, Art’s Place co-owner Yolanda Sanchez, have long curated this inviting, homey space for dancing to cumbias and Norteño tunes, genres of popular Spanish-language dancehall music. With the ease and lightheartedness of Art’s Place being a beer bar, Art and Yolanda serve the domestic beers that patrons like—they sell 50–60 cases of Corona a weekend, according to their distributor, Carlson. “It’s simple,” Art says. They acknowledge Art’s Place as a second home for their patrons, and they’ve grown into being both a Poplar Grove neighborhood staple and a relaxed yet consistently packed and popping hub, largely among Salt Lake City’s (and likely Northern Utah’s) local Latino community looking to cut a rug on a weekend night. 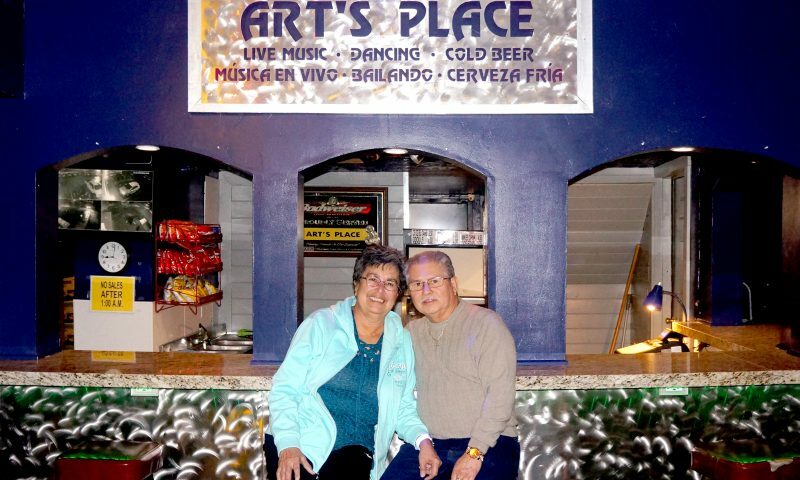 Art says that he and Yolanda started Art’s Place on Oct. 3, 1995. The space had previously been Club 76 and Billy O.’s before that. Art was 51 years old when his former company was bought out, and he decided to take a chance with a bar. They bought space without any prior bar-owning experience from property owner Roy Solt, who sold it to them on contract. “He helped us a quite a lot,” Art says. “He said, ‘Pay me what you can; we’ll catch up later.” They paid it all off roughly five years ago, and Art is proud that he’s expanded the space from fitting a couple pool tables and pinball machines in the early days to a full-blown dancehall as he purchased the adjacent property and built out the structure. Prior to owning the bar, Art had worked an industrial job in a wool plant in the Granary District. Yolanda worked as a teacher’s aid at local schools and served as a board member on the Small Business Advisory Board (now the Business Advisory Board) under Mayor Rocky Anderson, representing the Westside. “I’ve always been involved in the community,” Yolanda says. While Art tends to the cleaning and bar-management needs of Art’s Place during hours of operation, Yolanda works the door with security to preserve harmony under their roof so people may enjoy their time. The early days of Art’s Place were a bit rough-and-tumble due to some socioeconomic turbulence in Westside neighborhoods. However, “I wouldn’t give in,” Art says. “I said, ‘No, I’m staying. I’m not gonna quit.’ I’m not a quitter. That’s just our nature, both of us, my wife and I both. We’ve worked hard for what we have. We’ve accomplished a lot, I think, and we’re proud of it.” Art’s and Yolanda’s persistence in cooperating with local authorities, developing their security practices and ensuring that they could do the best they could to maintain Art’s Place as a safe space won out in the long game. Upon opening, Art mentions that he didn’t know that it would be a Latino-centric bar. Having evolved as such, he and Yolanda note that the reason they stand out is because they’re welcoming to any patrons who come through the door, no matter how they’re dressed for the ensuing dance. To boot, when I went, local band Fuego Tropical opened, priming the crowd. “They feel at home here,” Art says. “Every single one of the bands tell us that.” Art’s Place house band Fantasía had shoes and boots constantly in a mix of steps. “I owe them a lot of credit,” Art says. Attendees respond with panache by dancing to the bands’ live music throughout the evening—the only slow-down coming between sets—which is fuel for bands like Fantasía and Fuego Tropical to deliver their best until the dancehall closes down. Art’s Place is doing everything right. It’s a home to many who frequent there, and Art and Yolanda work hard to create a sense of camaraderie. They chuckle about a story of a patron who physically held on to the bar, declaring that he didn’t want to leave one evening! “It’s home to everybody,” Yolanda says. Though there has been an increase in its renown for people from beyond SLC, it remains as well-earned mainstay of Poplar Grove. Art’s Place opens at 9 p.m. and closes at 1 a.m., Fridays and Saturdays. The cover is $10 for men, $5 for women.